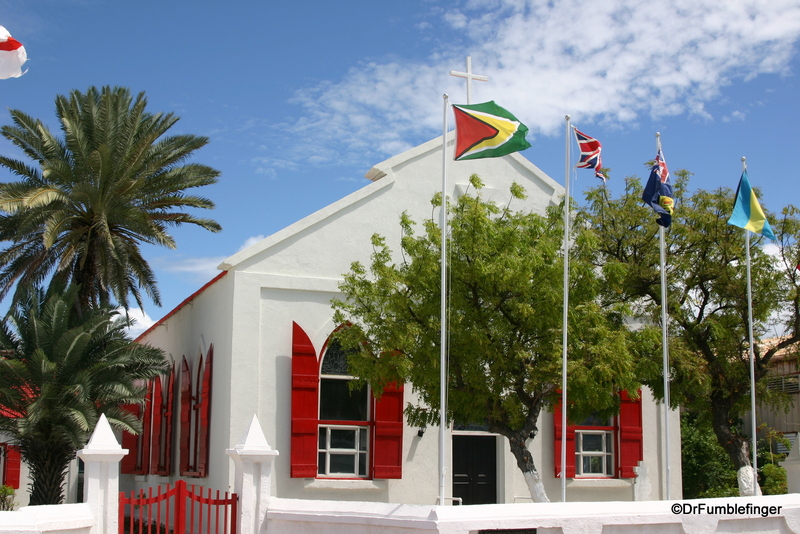 Small Cockburn Town, on the island of Grand Turk, is the capitol of the Turks and Caicos Islands. A small sparsely populated island, we visited it one day during a Carribean cruise. One building that caught my eye along Front Street, on the waterfront, was this small Anglican Church. Built in 1899, and having survived hurricanes, it has a pleasing look. 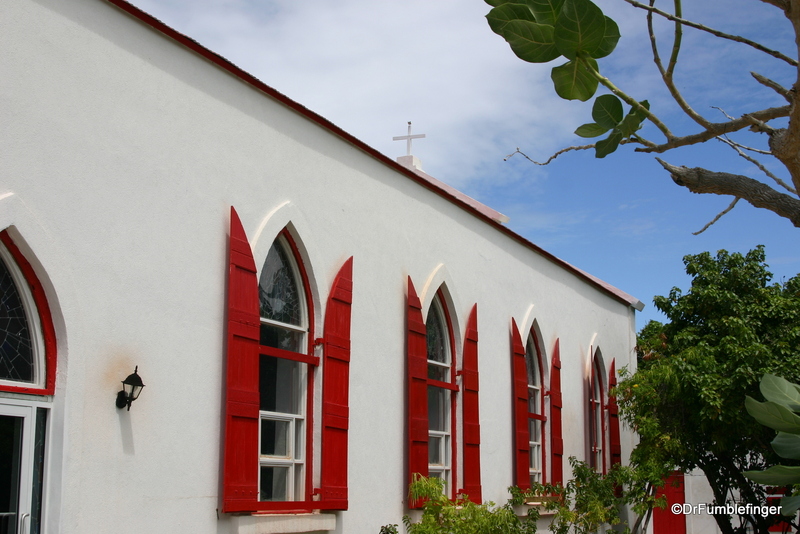 With its fresh white-painted walls contrasted by its red shutters and trim, St. Mary the Virgin is a colorful landmark. 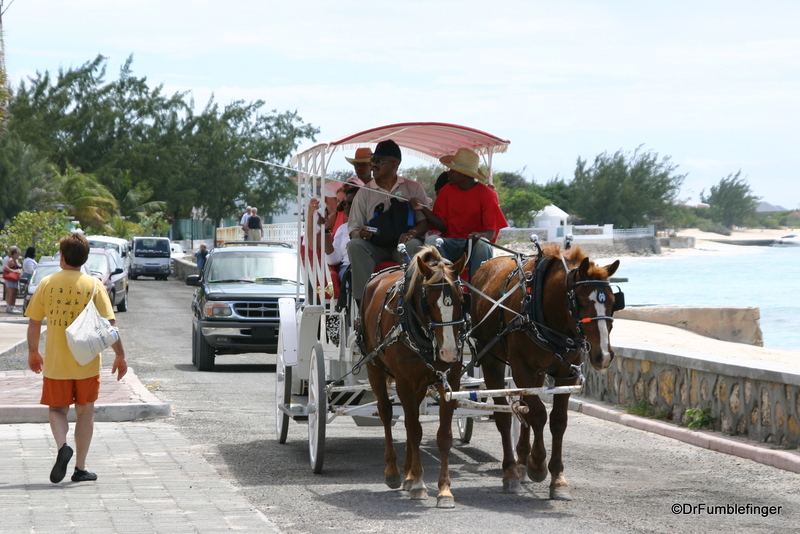 As I was snapping photos of the church, a horse-drawn carriage passed us. 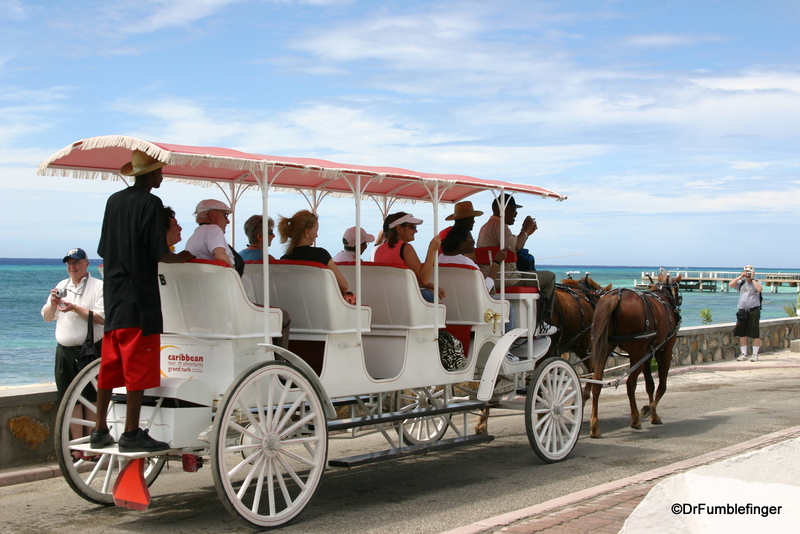 A reminder that life on this island definitely moves at a slower pace.